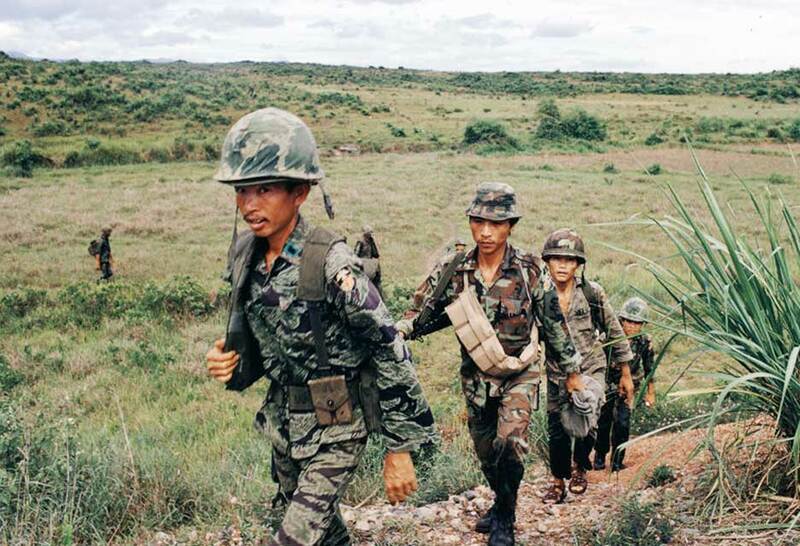 The North Vietnamese and the Vietcong began a major offensive on March 30, 1972. The goal of the offensive was to win a decisive victory in 1972. The attacks began in the north, center, and south of the country. A week after the offensive began President Nixon decided to respond with a massive air campaign against the North. The campaign was by far the largest and most comprehensive of the war, using a wide variety of aircraft as well as new smart bombs. The US committed 74 tactical squadrons to the attack. In addition, six aircraft carriers were assigned to the bombing mission as well as over 100 B-52 bombers. The attacks were effective bringing the North Vietnamese economy to a complete stop. For the first time, the US placed mines in Haiphong Harbor cutting off the North Vietnamese from foreign support. The American support seems to strengthen South Vietnamese resolve. The South Vietnamese with heavy American air support were able to turn back the attack.